An exceptionally well presented detached house, conveniently located within the popular St Peters Park development. Local shops are nearby in Alfriston Road, together with the Downs Leisure Centre and bus services operating along the A259 between Eastbourne and Brighton. Seaford town centre and railway station are approximately one mile distant. The light and spacious accommodation comprises entrance hall and refitted cloakroom, sitting room, conservatory, family room, open plan dining room leading into the modern kitchen, which in turn leads to the utility room and access to the garden. On the first floor there are four double bedrooms, which lead off the gallery style landing and the master bedroom has the benefit of a modern fully tiled en suite bathroom. The family bathroom has been replaced and has a large walk-in shower. 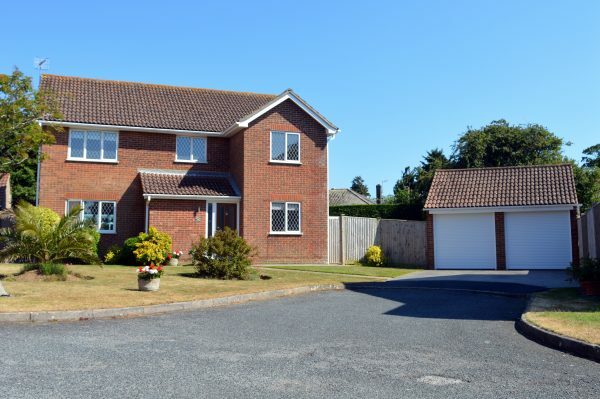 The double garage, with ample off road parking in front, is approached via twin roller doors and has a personal access door to the attractive and well maintained rear garden. The property, which was constructed in 1983, has been improved and upgraded during the last six years to a very high standard, by the current owners. An early viewing is highly recommended. If you would like to arrange a viewing, please call our team on 01323 898 414.